I missed this story about former Sacramento King Ron Artest shorting his home in Loomis. 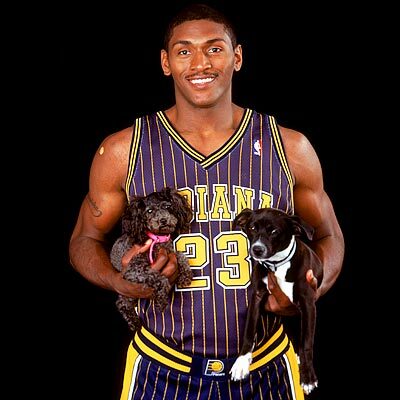 The short sale that Artest used to escape his losing real estate investment has become a commonplace tactic in an area beset by plunging housing prices…In Sacramento County, 58 percent of homes for sale in mid-May were short sales, according to Metrolist Services. Wow. The house is dog-friendly though (FauxPaws!). With the sale, the forgiven debt is $480,000, but Artest just might get a parting gift out of his short stay in Sacramento. Recently signed state and federal legislation eliminates taxes on forgiven mortgage debt from 2009 through the end of 2012. I wonder if this will be included in his new reality series. To those who have much, more will be given. To those who have little, more will be taken away.